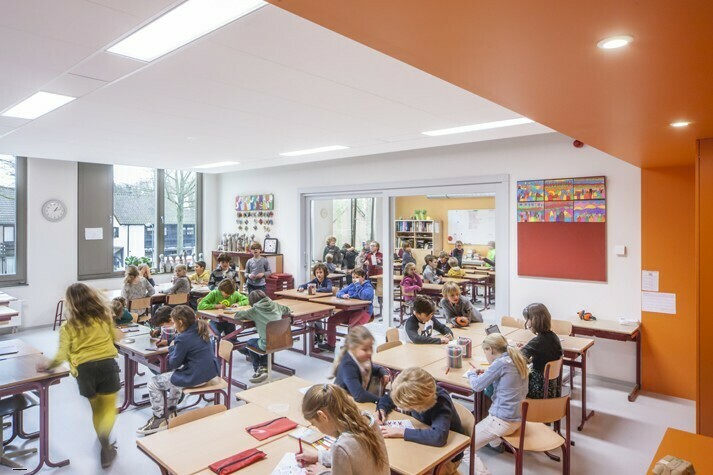 The Brede School De Bunders was built at the edge of Oisterwijk town centre. 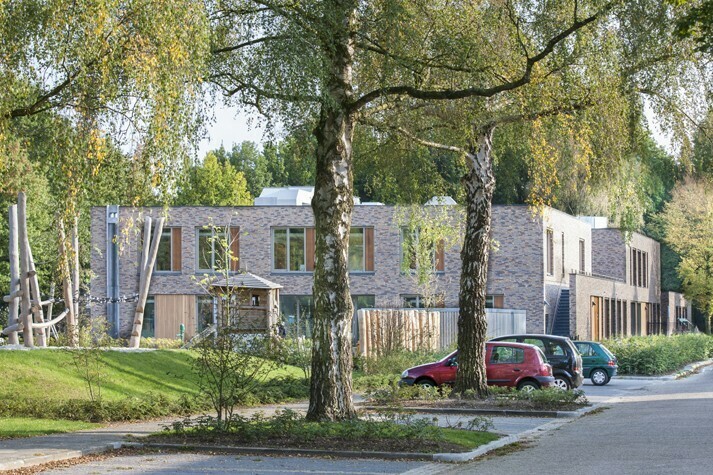 The modest architecture and meticulous integration do justice to the beautiful green environment; the size matches the scale of the town. 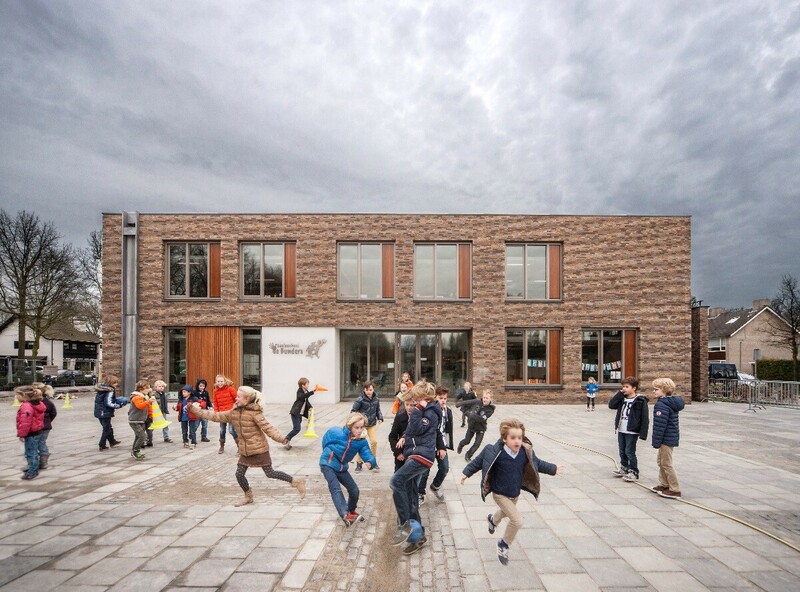 The sustainable quality is evident in the sedum roof, the swallow’s nests, an ‘insect hotel’, a vegetable garden, the natural playground facilities and animal shelters. 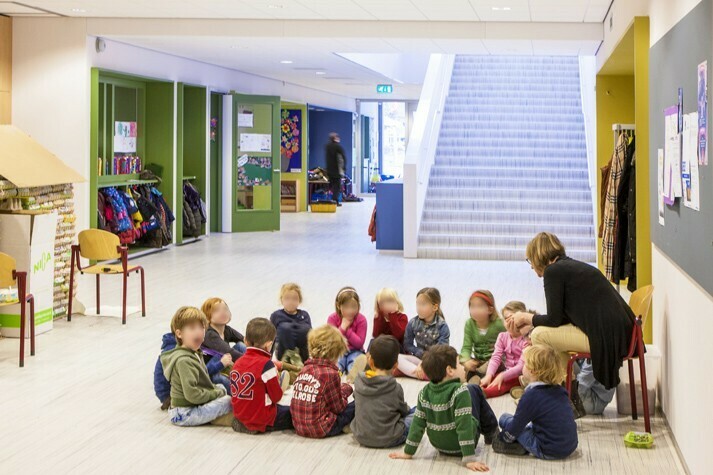 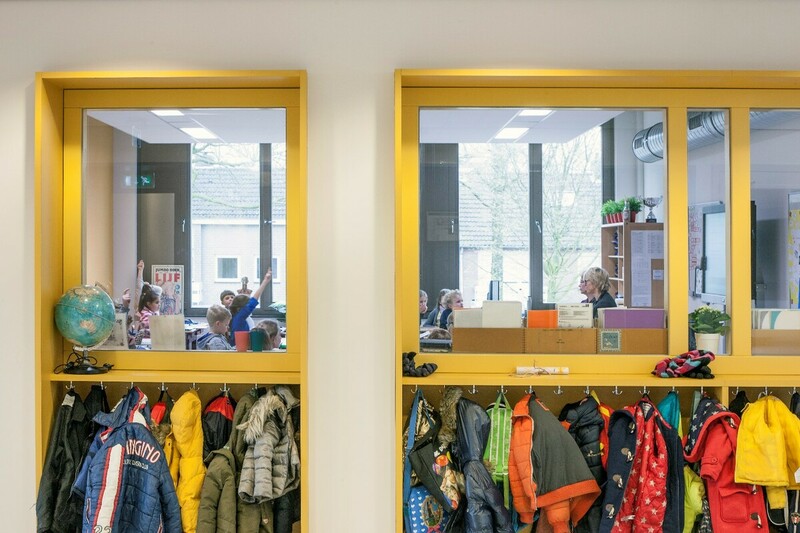 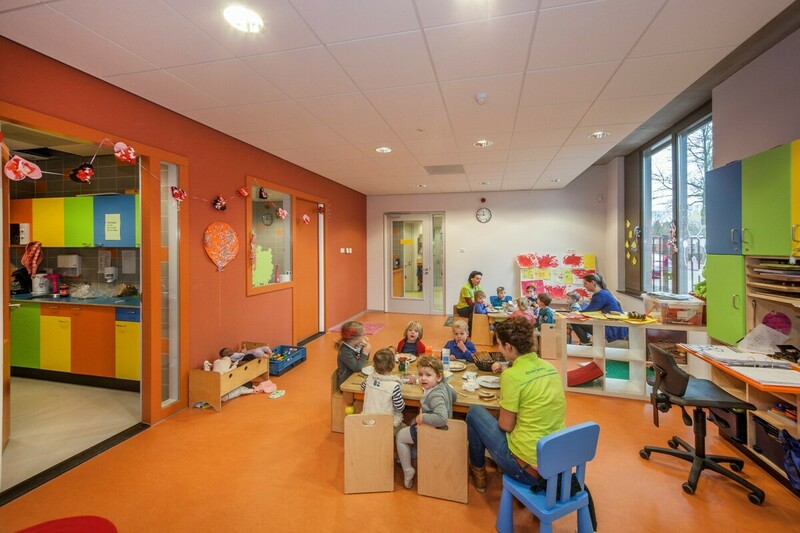 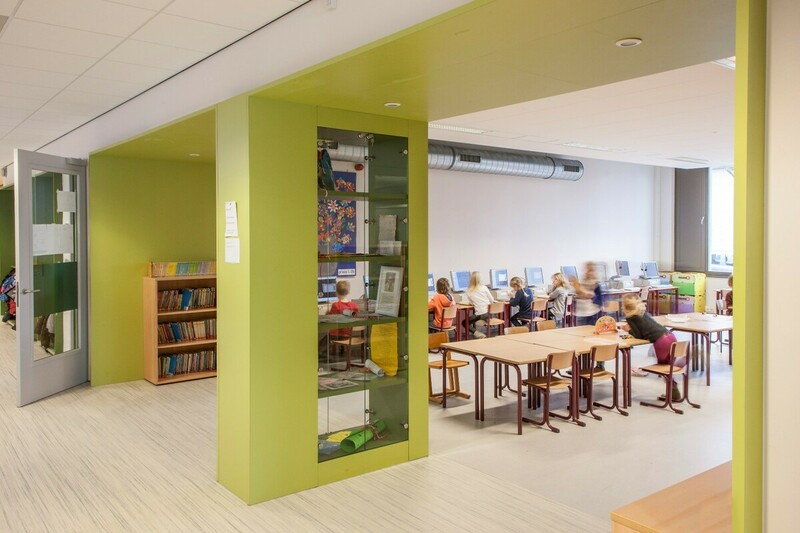 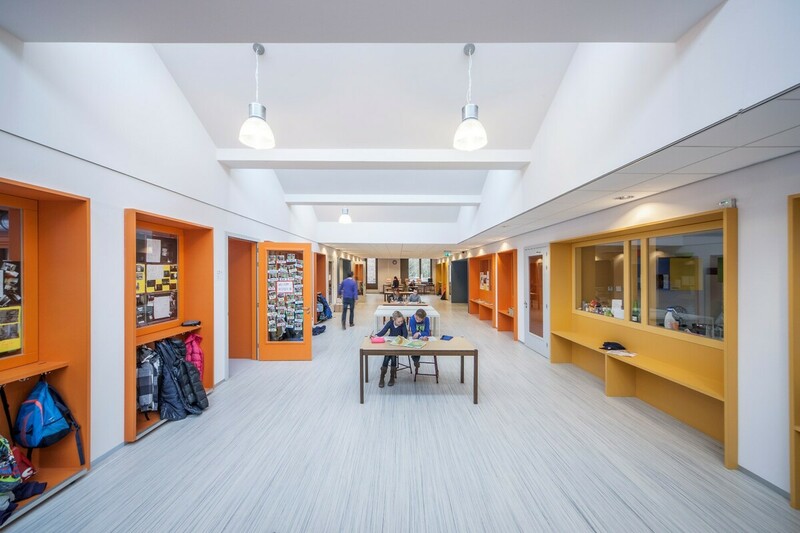 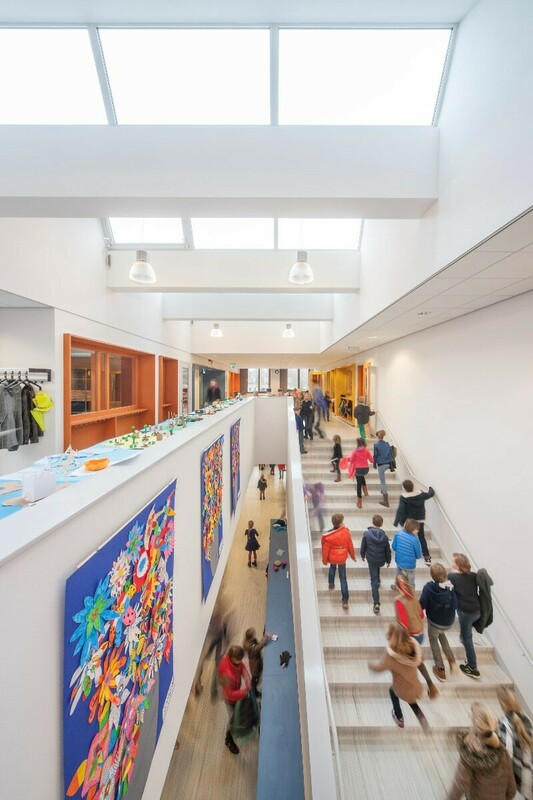 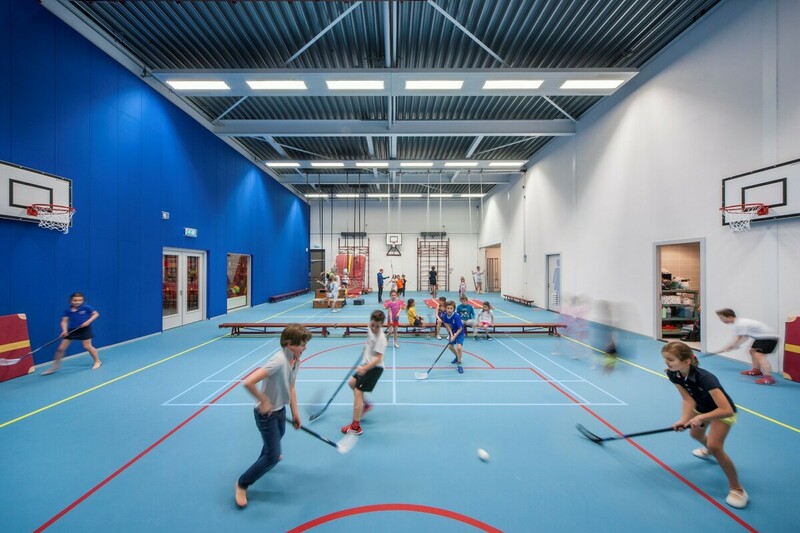 Indoors, the continuous development of the children is literally visible: a central connection path links all the classrooms of the younger children, the lower grades and the middle & upper grades on that floor. 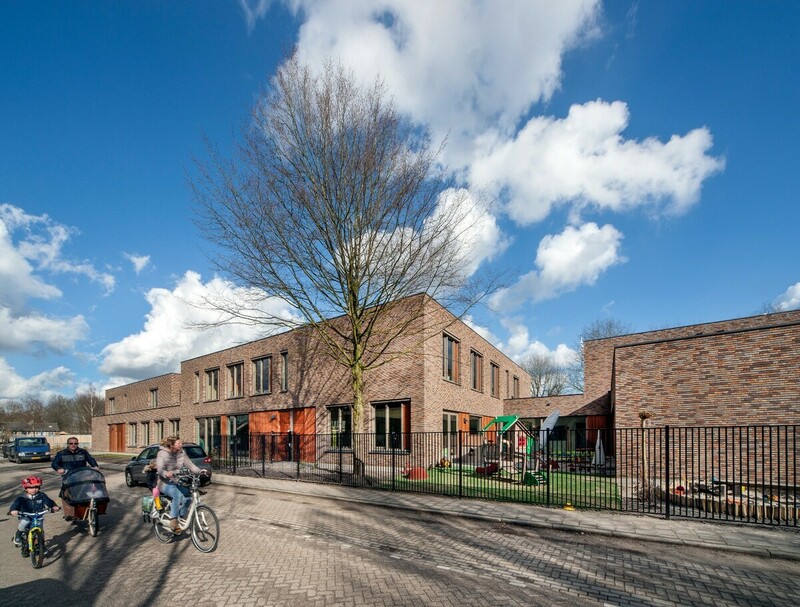 The path meanders; sometimes in a path and sometimes becoming a small plaza.